Orthokeratology or Ortho-K is a treatment designed to stop the progression of myopia and allow the patient to have practically perfect eyesight during the day - without wearing spectacles and contact lenses. The patient has to wear a special Ortho-K lenses to sleep at night and follow this routine diligently. Ortho-K is the fitting of custom-designed Gas Permeable (GP) lenses that the patient will wear to sleep at night. While the patient is asleep, the lenses gently reshape the front surface of the eyes (corneas). The patient can see clearly (perfect eyesight) the next day after removing the lenses when he or she wakes up in the morning! Ortho-K is primarily used to correct refractive errors, or better known as nearsightedness, farsightedness, and astigmatism. 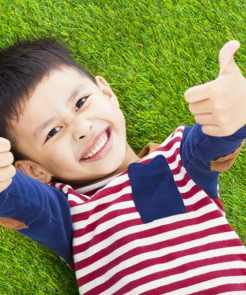 In the recent years, it's been widely used to control the progression of myopia in children, typically from ages 8 onwards. See clearly the next day! Sit down with our experienced, passionate, and caring optometrists and understand more about Ortho-K. Get your questions answered and concerns addressed before we perform an assessment on you or your child. 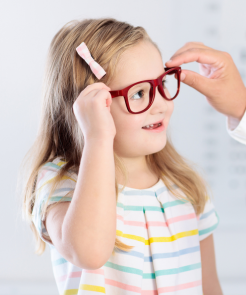 Our optometrists will proceed to assess you or your child's suitability for Ortho-K, followed by recommendations and expected results over a timeframe before your decision to go ahead with the treatment. Eyesight.sg (The Eyecare Initiative) is founded in 2011, by Mr Ken Tong, who has a special interest in the eye care profession. 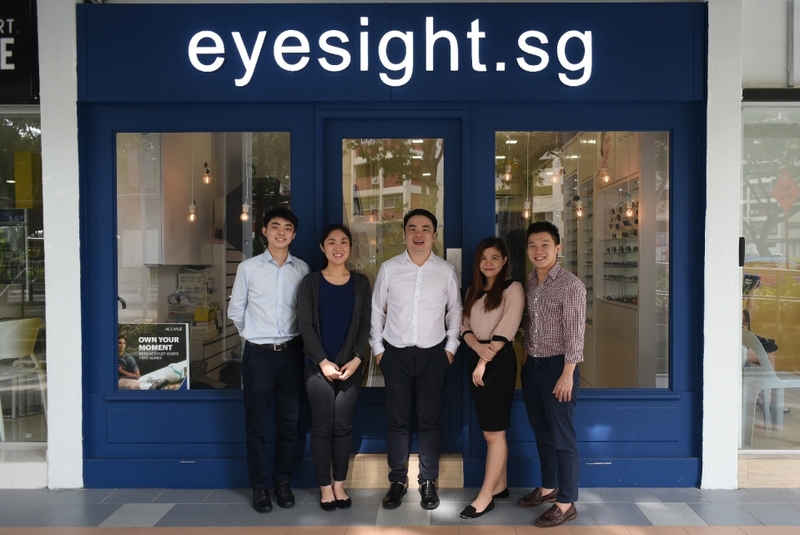 In pursuit of his passion to help people to start caring about their eyes and vision, he realises that education is key in customers success and he has then transformed the retail-based business to a primary eye care centre, and rebranded to Eyesight.sg. Innovation and real patient care are the key driving factors of the business and till date, the company continues to expand with the finest team of optometrists. 1.Who is Ortho-K most suitable for? Your child is a candidate if they have a tendency to lose or abuse their contact lenses/glasses, or if wearing them interferes with their active life. Finally, if you just don’t want to be bothered with wearing glasses or contact lenses during a variety of activities such as hiking, playing sports, swimming, skiing, camping, off-road driving, biking, snorkelling, scuba and more, Ortho-K is for you. 2. Will dry eyes affect my suitability for Ortho-K? Dry eyes are usually not a problem while you sleep as there is little tear evaporation in a closed eye, and Ortho-K lenses are only worn while you sleep. If your dry eyes are a problem while you sleep, supplementing your natural tears is a simple option. Orthokeratology provides a dry-eyed person with excellent vision with no compromise to their eye health or comfort. If you have dry eye disease due to severe arthritis or a collagen-vascular disease, you may not be a candidate. However, a comprehensive exam will give us a better idea of your chances for success. 3. Will high astigmatism affect my suitability for Ortho-K? Whether you are a good candidate depends on other factors such as the health of your eyes, your age, your pupil size and your expectations. High astigmatism is normally more complex in the design and fit. This is because conventional molds will not sit well with perfect centration on the cornea. When we custom design a mold for your cornea, we will be able to achieve perfect centration on the cornea however, we would like take a step further and reduce almost all of your cornea astigmatism. We have had fantastic results from our patients with high astigmatism but as mentioned, it will depend on the individual case and a consultation will allow us to give you a more accurate gauge on what to expect. 4. How reliable is Ortho-K in preventing the progression of Myopia and helping the patient to achieve perfect eyesight? After we qualify the patient, the success rate for full treatment is 100% unless otherwise stated. We have treated patients in excess of -1000 degrees of myopia and -450 degrees of astigmatism. This is out of the normal range of treatment and this is because we custom design each mold according to each cornea. However, more importantly, the patient accounts for 50% of the success rate and this is because it will not be possible without the patient’s compliance and responsibility in taking ownership when handling their molds, in terms of proper insertion and removal as well as compliance in the care products. 5. 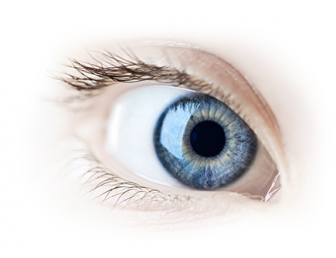 How long can the patient expect perfect vision? It depends on the severity of the myopia. For example, if a child's eyesight is currently -3.00 dioptres (300 degrees) on both eyes, it would typically take 3 to 5 nights of diligent wearing of the Ortho-K lenses to sleep. Even in more severe cases (-6.00 or 600 degrees), it would take slightly more than a week only. Eyesight.sg Copyright 2018. All Rights Reserved.